THE Premier Soccer League have been thrown into disarray following a ZIFA Assembly resolution on Saturday evening for the relegation of four teams from the top-flight league at the end of this season.ZIFA president Philip Chiyangwa, however, said last night he will try to mend bridges between the PSL leadership and some of the councillors to ensure that this doesn’t bring the national game into disrepute. There are only two rounds of league matches left and at the beginning of the season all the clubs were informed that this year only two teams would be relegated. This followed a ZIFA Assembly resolution last year that only two clubs will be demoted from the Premiership this season and there will be a play-off featuring the four Division One winners with two of them making it into the top-flight league. The Premier League were supposed to fund the play-offs but problems started when the top-flight league said they didn’t have the resources to bankroll the play-offs. And this sparked a rebellion, among the regional representatives, who then decided on Saturday to move a motion to reverse last year’s resolution. With numbers on their side, the regional representatives won easily. Chiyangwa, who backed the move to have only two teams being relegated as per the resolution of the council last year, said he will try and find common ground between the parties. “What I can say is that there was provocation from the PSL leadership, on this issue, because the letter that was written by their chief executive Kenny Ndebele was not in good faith,” said Chiyangwa. “By the time this issue came for discussion at the council meeting, you could see that things had gone into full throttle and it was now a question of numbers which the PSL could not win. PSL boss Peter Dube is said to have infuriated councillors when he said the PSL were not in a position to assume the costs of the national playoffs as themselves rely on sponsorship from other companies. Then 16 councillors, who are clearly all the PSL club representatives, voted for the idea to have two teams relegated. Unfortunately, their vote could not carry the day as 24 councillors voted against the idea to relegate two teams but to revert to last year’s set-up. Thirteen councillors abstained from the voting process. While five councillors were absent from the indaba this did not affect the day’s proceedings making the resolution binding with the ZIFA Assembly adopting it. Dube said he could not comment on a ZIFA meeting. “At the moment I can only say the AGM took place for the whole assembly. The best people to give you a comment is ZIFA because it was their meeting and we will be disrespecting our system if we appear we want to comment before them,” he said. “Like with every meeting that we have had at the Assembly, we go back as PSL. We are going to collectively look at what transpired at that meeting,” said Dube. According to some councillors who were part of the meeting but requested anonymity, the sticking point was the logistics of the proposed play-offs. “When the resolution was passed last year by ZIFA Assembly, it was agreed then that the PSL was going to sponsor the play-offs, that was part of the full resolution. “Then it was also resolved that there would be subsequent meetings between ZIFA and PSL to facilitate the changes. But this did not happen only for a letter to emerge from PSL before the Assembly notifying that they will not finance the play-offs. “This made the councillors decide to revert to what has always been the norm with four teams being relegated. “It was put to vote,” he said. Another councillor said the majority of the councillors were never in support of the idea to relegate two teams from the start, but only agreed so that they could go to bed with PSL last year and revoke Cuthbert Dube’s mandate as the ZIFA boss. “Last year a section of councillors badly wanted to revoke Dube’s mandate and wanted the PSL to support on their side so the PSL, in return, gave a condition that the councillors should also support their motion at the assembly to relegate two teams. “Back then people were so obsessed with removing Dube from office so they agreed to the condition but deep down in their hearts, they never wanted the idea of relegating two teams because councillors from the four Division One regions want what is in the best interest of the clubs they represent and that is an automatic ticket to the Premiership. “But get me correct, not all the councillors that were in that meeting are happy about this decision, some felt that at least for this season everyone should agree that two teams are relegated so that they don’t affect the PSL clubs which played the whole year under this rule and then next season revert to four teams. “Others are of the school of thought that since we are in this mess already, two teams are relegated then PSL should compromise and accommodate 18 teams next season with the ZIFA Assembly ratifying that and then after one season switch back to 16 teams,” said the council- lor. This development will present a lot of drama in the league as Tsholotsho and Mutare City, who have been fighting relegation, could become the latest casualties by joining Border Strikers who have already been relegated. Chapungu, Triangle, Hwange and How Mine have overnight become relegation candidates. Chapungu, who lost to FC Platinum on Saturday, are on 31 points, need to win their last two matches against Hwange and CAPS United and hope other results will work in their favour. Triangle, Hwange and How Mine -all on 35 points – need three points each to ensure they are safe from relegation worries. 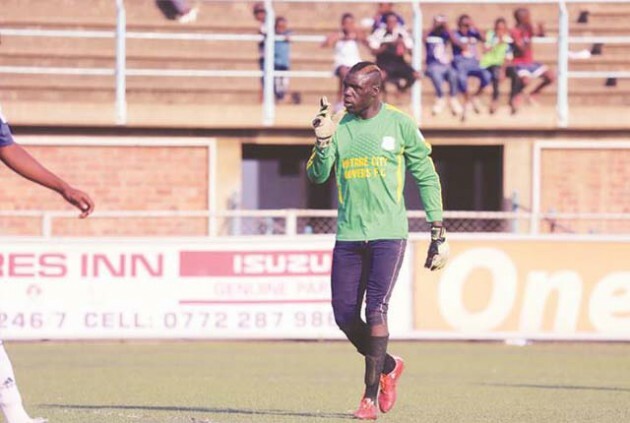 This also means ZIFA Northern Region Division One club Black Rhinos, who were crowned champions on Saturday after beating Kariba Waves 2-0 at One Commando with two games to spare, have been promoted into the Premier Soccer League. This, though, could change in the coming days.